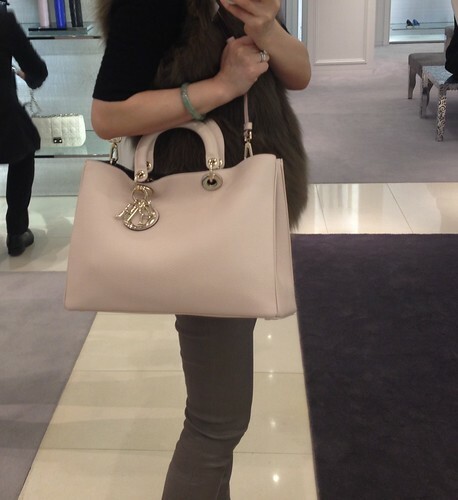 Bloomingdales reward card event starts from today to Mar 24 2013. It might be limited to the stores in Boston and NYC (check a previous post and discussion here). 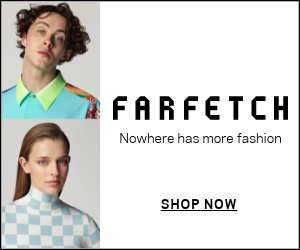 You will get a $250 reward card for every $1000 purchase of designer items (Chanel handbags /jewelries/shoes, BV handbags, Chloe handbags, Burberry bags, Marc Jacobs handbags, Prada shoes, Miu Miu shoes, Dior shoes). Reward card will be issued next month, and can be used for all products in Bloomingdales (in store and online) in 6 month. 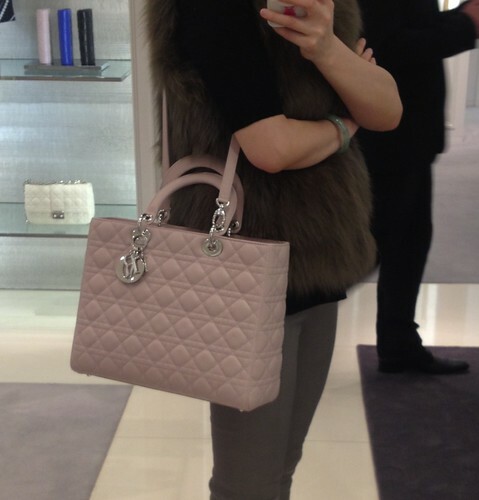 Again, if you are considering a Chanel handbag, it might be a great time! 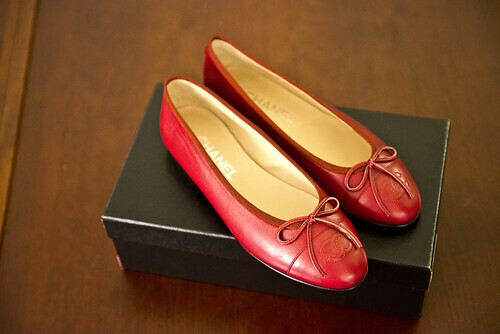 When I waited in line picking up Michelle's order (a Chanel black GST bag), I browsed their spring shoes... then took home these flats, in rouge. The color is so beautiful and it must be good with black, white and denim. My first one bought 8 years ago still works well, so I don't question their quality at all. 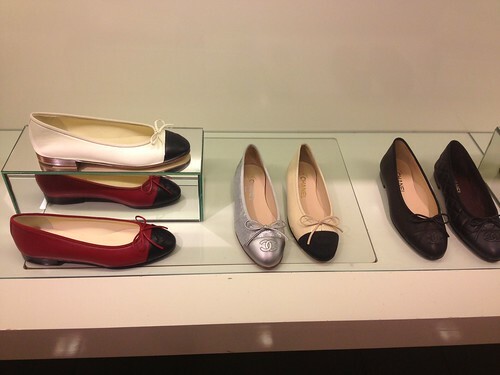 Size wise, both soft leather and caviar leather flats are true to size, while quilted ones run half size small. Stylish sneakers are in style nowadays. Prada, Miu Miu (very pretty here and here: they run half size big) and Chanel have all kinds of sneakers: patent leather, suede, butter leather and fabric with laser cut. Especially Miu Miu sneakers with studs are very eye catchy! 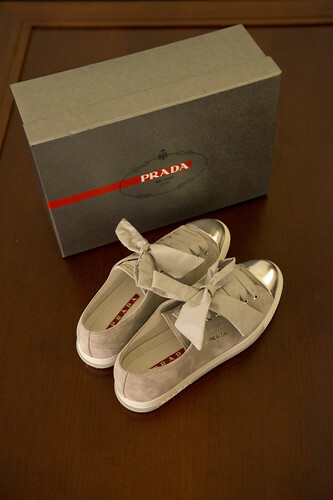 I pick Prada lace-up sneakers for their very special shoe lace and adore the color. 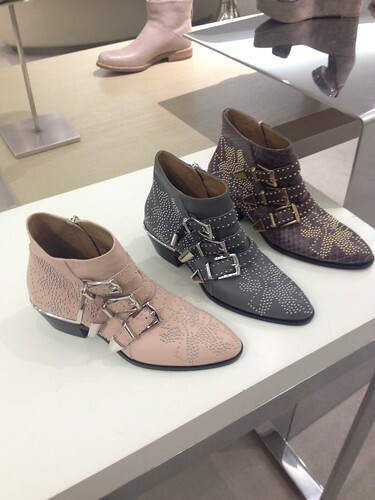 I have kept my eyes on Chloe Suzanna boots for a long time. They are indeed chic and comfy! But I hope they are slightly over price now...fingers crossed for the sale.